What BB races do I need for this SR Ti axle? 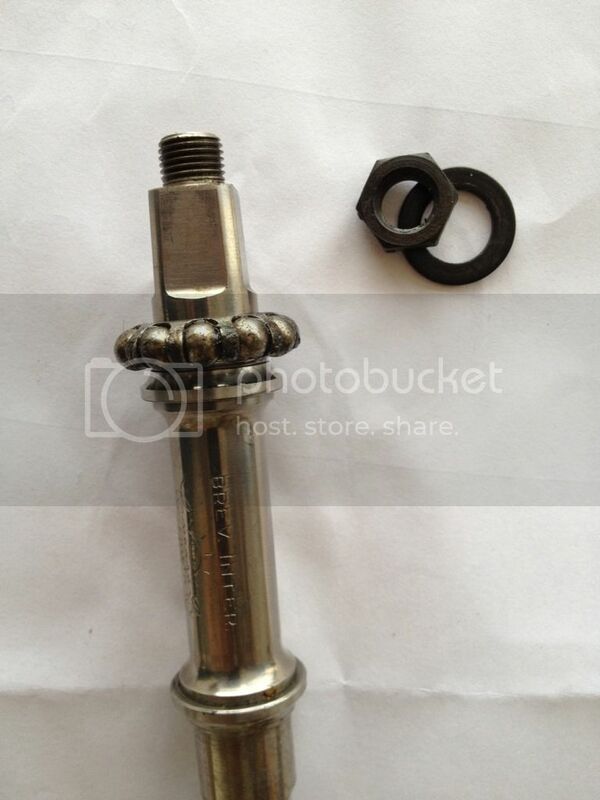 Post subject: What BB races do I need for this SR Ti axle? What races do I need for this axle? it's a second gen titanium super record type. The ball race shown is genuine & from a standard steel SR/NR axle but doesn't fit. If it's hollow axle and Ti does that not make it 1st Gen. SR? So would be 3/16" bearings rather than 1/4"
Thanks for the info. The velobase link shows the first gen hollow ti axle which was prone to snapping. My one is the second gen ti solid ti one with a threaded end and nuts. The second link shows my axle so your info on the bearings should sort it.